Peter Lewis is a San Francisco-based, yet internationally active, composer of modern classical music. He is also a conductor, guitarist, producer, and lyricist. 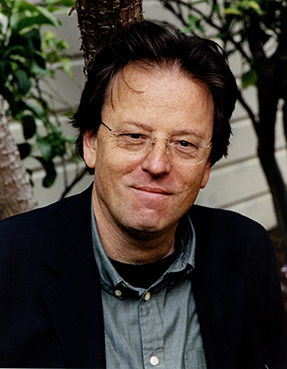 His music has been commissioned and/or performed by the Chamber Music Society of Lincoln Center, Conspirare; the Orion, Alexander, and Ciompi String Quartets; the Bakken and Merling Trios; the Dorian Wind Quintet, members of the Rotterdam Philharmonic, San Francisco Symphony, Berkeley Symphony, Chamber Symphony of Princeton, Seattle's Intiman Theater, New York Virtuoso Singers, and many distinguished soloists and conductors including Kent Nagano, Alan Gilbert, Craig Hella Johnson, Kees Hülsmann, Susan Narucki, Keisuke Nakagoshi, Stephen Gosling, William Winant, and David Tanenbaum. His music has been performed throughout North America, Europe, and Japan, and has been broadcasted over National Public Radio in the United States, the BBC in England, World Broadcasts, and various other stations and programs throughout the world. His major compositions include Pacific Triptych (for orchestra), two violin concertos, two cello concertos, Guitar Concerto, Where The Heart Is Pure (for mezzo soprano and chamber orchestra or piano), two string quartets (Night Lights and River Shining Through), Beaming Contrasts (for guitar and string quartet), two piano trios (Rhapsodic Images and Surviving a Storm), Serenade for Winds (woodwind quintet, with or without bass clarinet), two cello and piano duos (Through The Mountain and Duo Concertante), A Whistler’s Dream (flute and piano), The Changing Light (vocal quartet SATB and piano), Five Neruda Songs (vocal quartet SATB), as well as other compositions for orchestra, various chamber ensembles, and solo instruments. Naxos, New Albion, Lapis Island Records have produced 6 CDs devoted to his music. They are The Four Cycles (composer, conductor, and lyricist), River Shining Through, Atlantic Crossing/Rhapsodic Images, Three Suites for Guitar (composer and soloist), Where the Heart Is Pure, and Beaming Contrasts. While his most recent recording is The Four Cycles, produced and released by Naxos – American Classics on August 12, 2016, he’s also currently working on a new CD of chamber music, which will feature Miranda Cuckson, violin; Chris Gross, cello, and Stephen Gosling, piano. Recent premieres include Surviving a Storm, commissioned and performed by the Merling Trio, and The Changing Light, commissioned and premiered by the vocal ensemble, Conspirare, and based on three poems by Lawrence Ferlinghetti. Additional information and performances of existing compositions are listed on the Works page of this web site under their titles, when known. Peter Scott Lewis was born on August 31, 1953, in San Rafael, California, and grew up in both the San Francisco Bay Area and Washington State. A graduate of the Yale School of Music and San Francisco Conservatory of Music, he studied composition with Andrew Imbrie, Jacob Druckman , Nicholas Maw, and Morton Subotnick; studied guitar with Alirio Diaz and Carlos Barbosa-Lima; and conducting with Arthur Weisberg. He has taught at the University of Washington and the San Francisco Conservatory of Music. In addition, he has completed composer residencies at Yaddo Corporation, the MacDowell Colony, the Djerassi Foundation, and has been composer-in-residence at Seattle’s Intiman Theater, Festival for New American Music, SFMOMA, among others. He has also worked as a conductor, classical and jazz guitarist, clarinetist, lyricist, and producer of his music and others. His music is published by Theodore Presser Company.